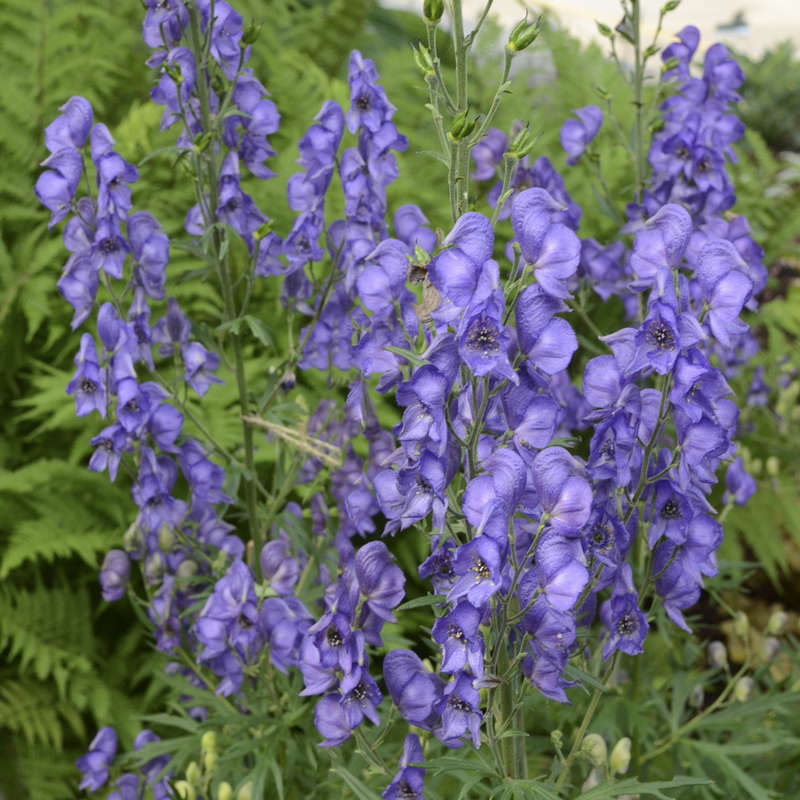 Adaptable and undemanding, and will grow in poor soil. Fernlike aromatic foliage. Good for the middle or back of the border. Spreads 14". Bold color with no gaps between blooms. Flowers bloom a bright yellow and turn pastel yellow. Produces blossoms all summer. Robust. Lovely helmet shaped flowers on dense racemes. Flowers last the longest in a partially shaded, moist location. An excellent cutflower. The roots, leaves and seeds are poisonous. Strong stems so no staking required. Deep, glossy foliage and lavender-blue flowers. Shade to partial sun. A rapid growing ground cover that proves effective under trees where lawn has difficulty establishing. Also does well if rock gardens and when used as an edging plant. Upright flower spikes that bloomfrom mid-late spring. 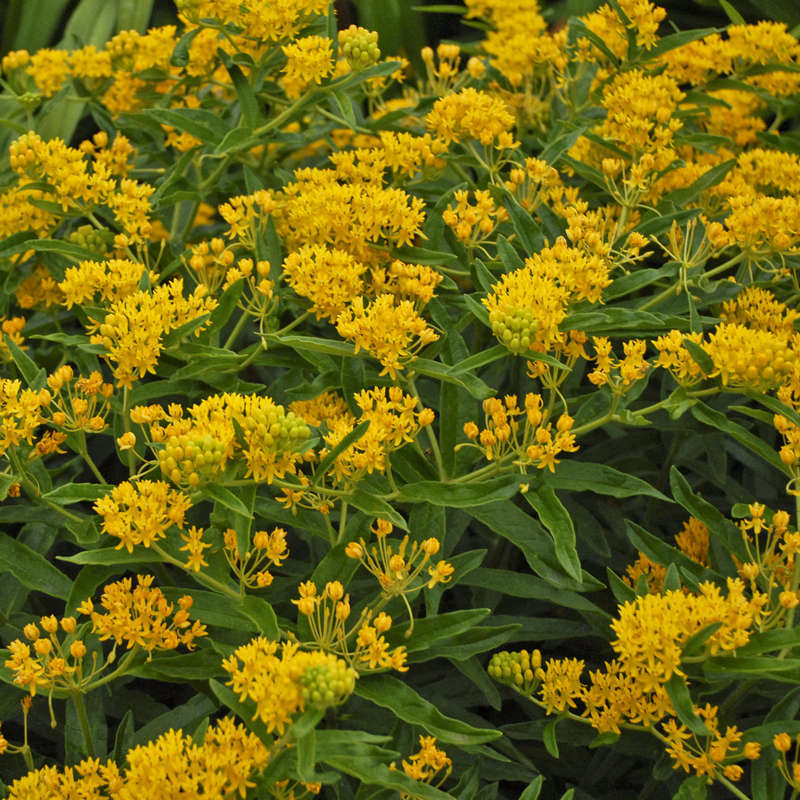 Easy to grow in medium moisture and well-drained soil. 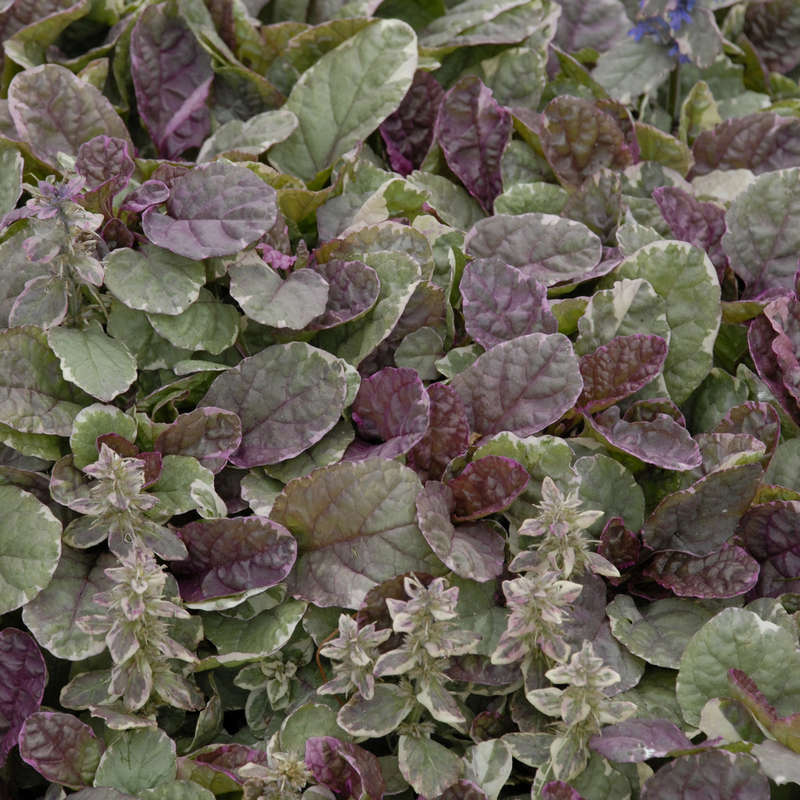 Violet blooms are produced best with 3-4 hours of sun but is a shade loving ground cover. Tolerates deer, rabbits and black. Walnuts. Spreads ½' to 2'. 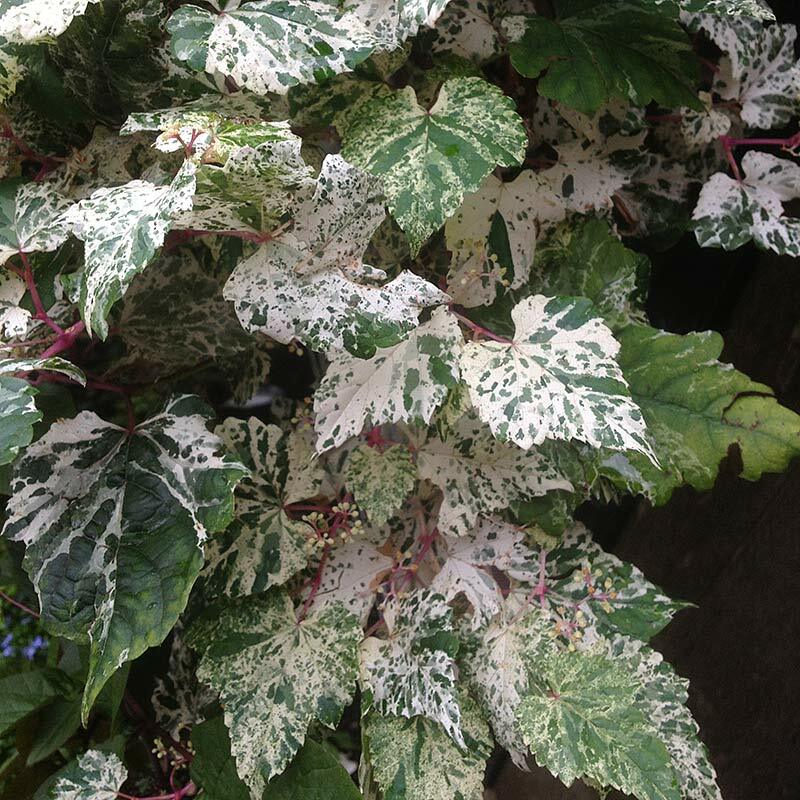 Variegated foliage of Burgundy, creamy white and green which gives a vivid tricolor effect. Blue flowers. An easy to grow evergreen ground cover with rounded, lobed leaves. Tiny yellowish green star-shaped flowers. Flowers can be cut and dried. 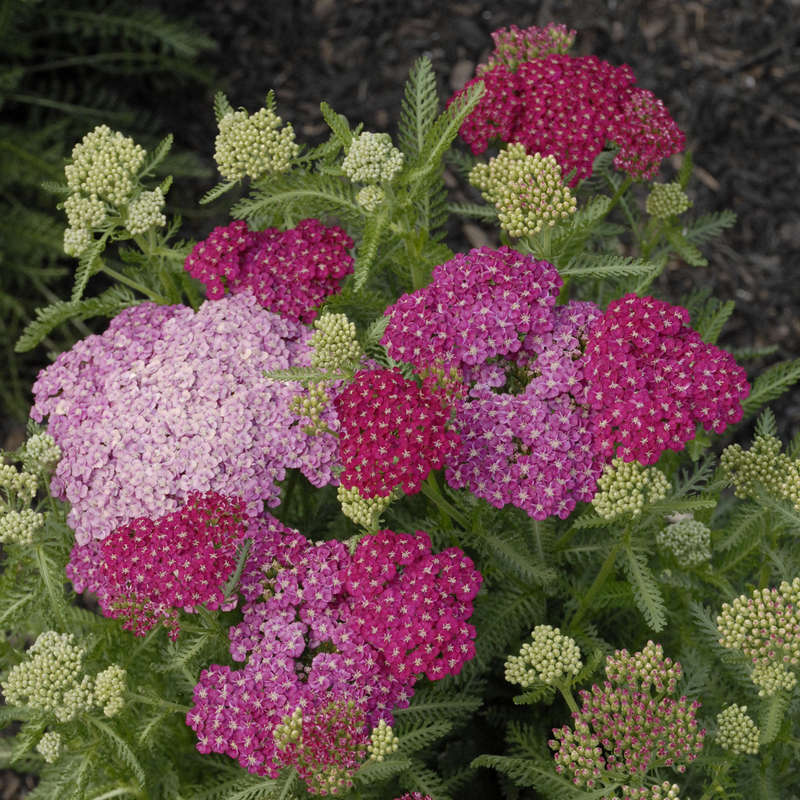 2", rosy purple blooms on strong stems; compact 15"-20" clump with thick, glossy leaves. Sun to part shade. Bushy clump of soft apricot and yellow clusters of 20 or more blooms. Over winters well. Aggressive vine with variegated leaves (white, green, pink) and white flowers that mature to blue berries. Sun or shade. This blue star variety Has very narrow, needle-like leaves that line the stems like bottlebrushes. 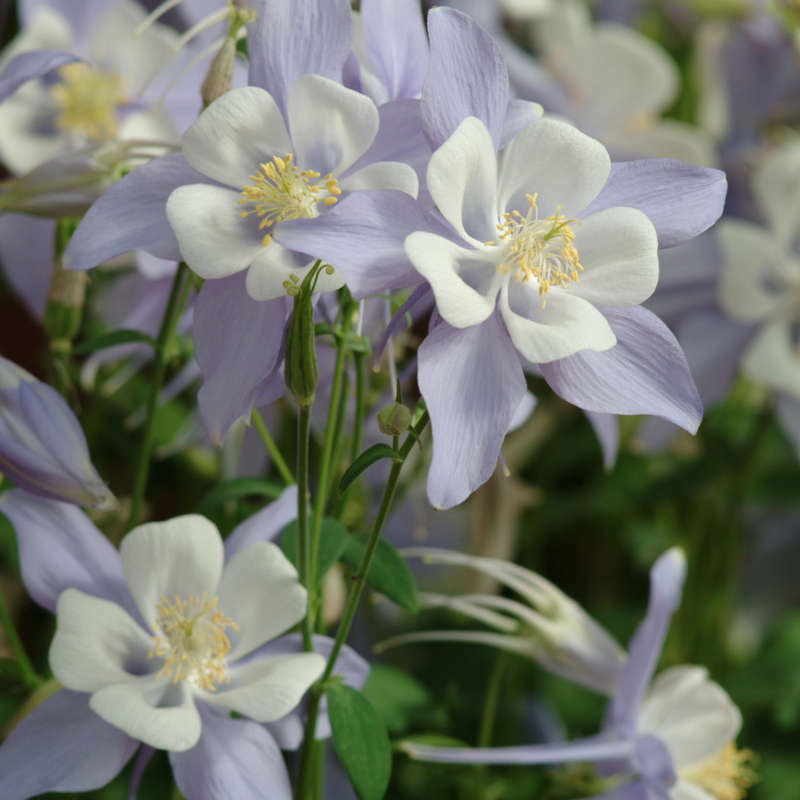 The small, light blue 2-3" flowers grow in clusters. Golden yellow in the fall. A good choice for late summer and autumn flowering. 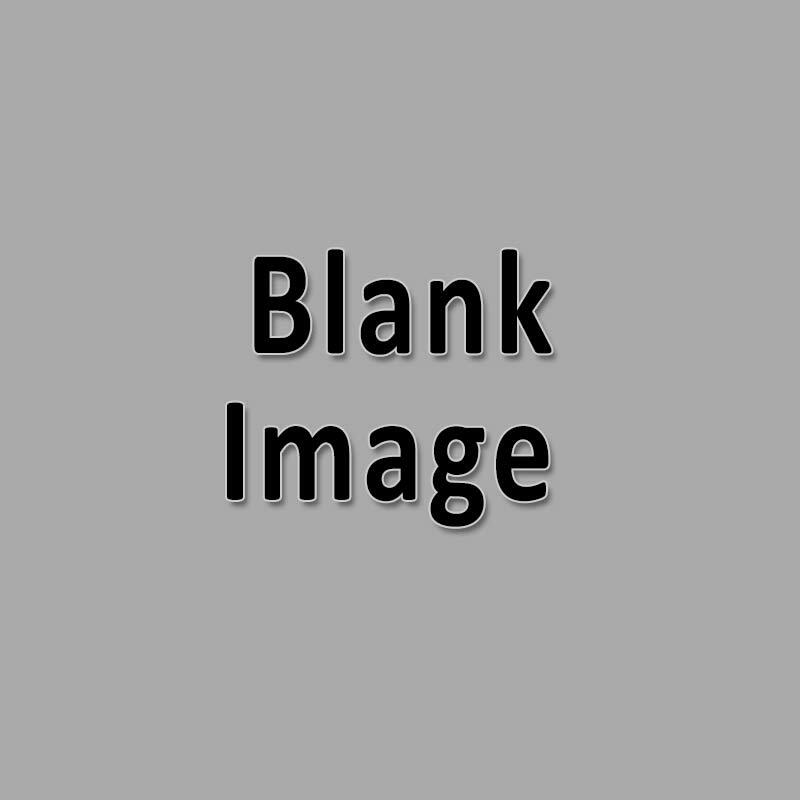 Requires a rich, well-drained soil for top performance. Each dark pink flower is lined with a double row of petals. Lasts throughout the fall. Back by popular demand! Pure white single-semi double flowers with bright yellow stamens measure 2-3 inches across. Very floriferous. 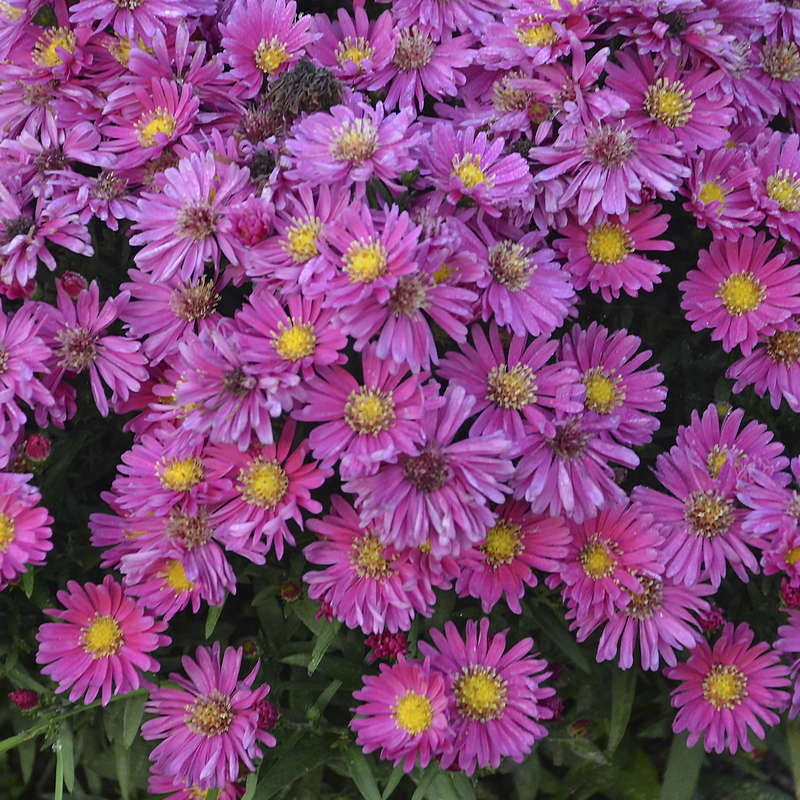 Nice for late season color with double, deep pink 2" daisy-like flowers. Showy, purple, cup shaped flowers with silvery, fuzzy foliage. Early Spring. Cottage garden plant. Late season. White, semi-double ruffled flowers. Nice clump of deep green foliage. 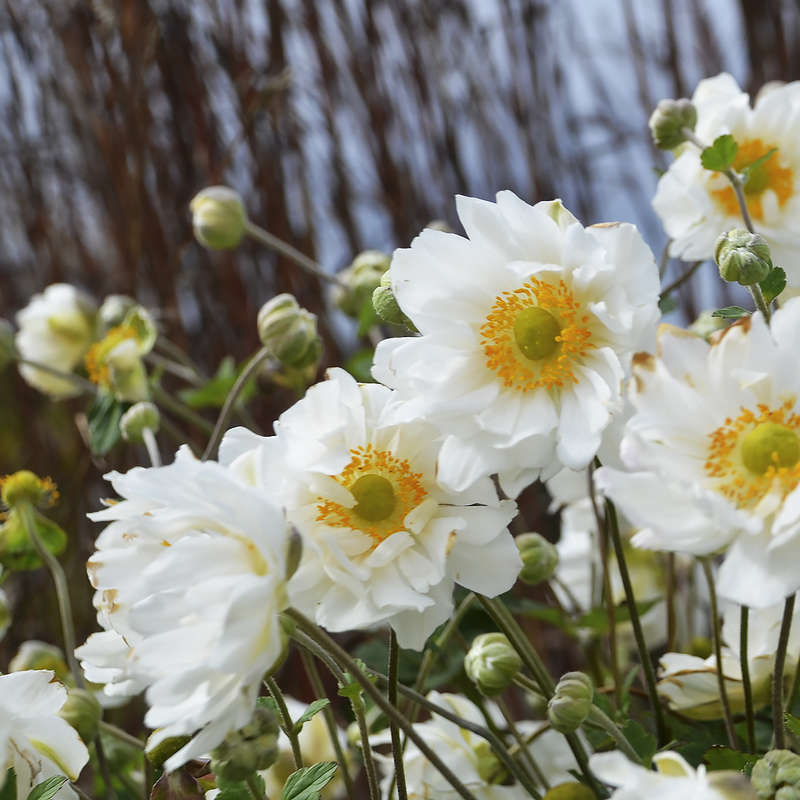 Unlike other anemones, this blooms May until the first frost. Large, 3½" blossoms have violet bands on undersides of petals. Good for woodland and rock gardens in part sun. Resists deer and is a good cut flower. 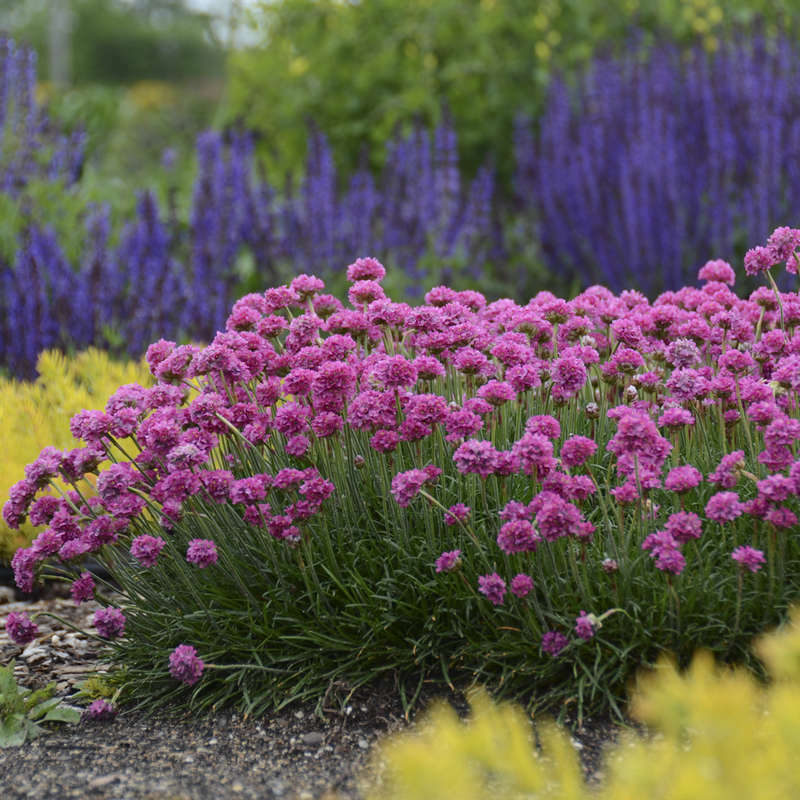 Graceful, colorful blossoms make this a delightful border plant. The shorter ones are nicely suited for the rock garden. They delight in a well-drained, rich humus soil. Sun to part shade. Large white flowers are surrounded with burgundy petals. Same as above but with a yellow center. Same as above but with a blue center. Abundant red and white upright facing double flowers on sturdy stems. Very Large, bright fold leaves. Tiny white flowers turn to purple-black berries in fall. 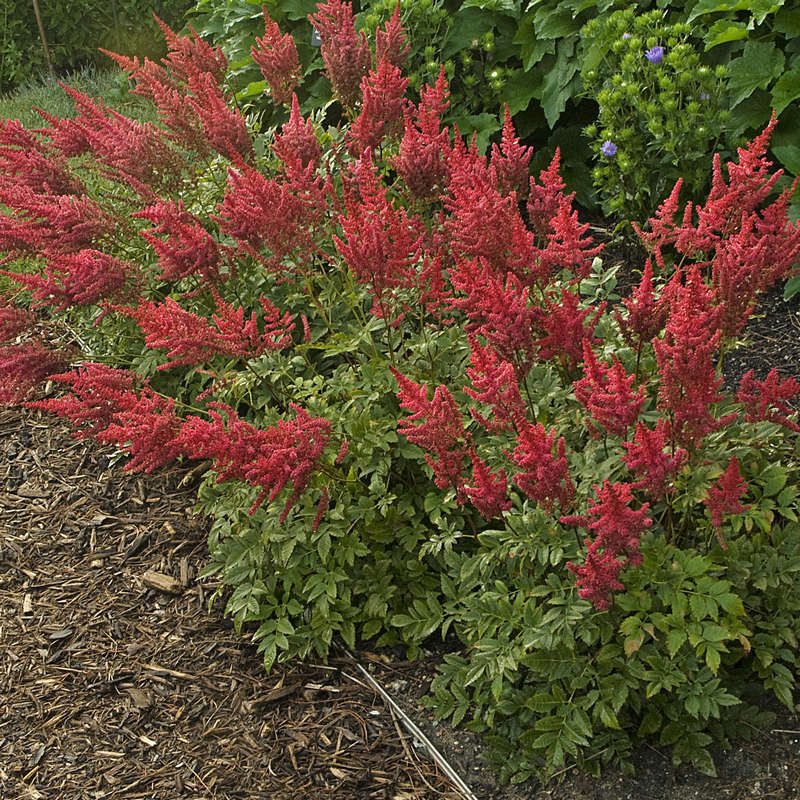 This new border plant 6-8" and has bright raspberry blossoms. A compact mounded plant. Fernlike, silver-gray foliage. Excellent in the rock garden or for edging. Extremely popular foliage plant. 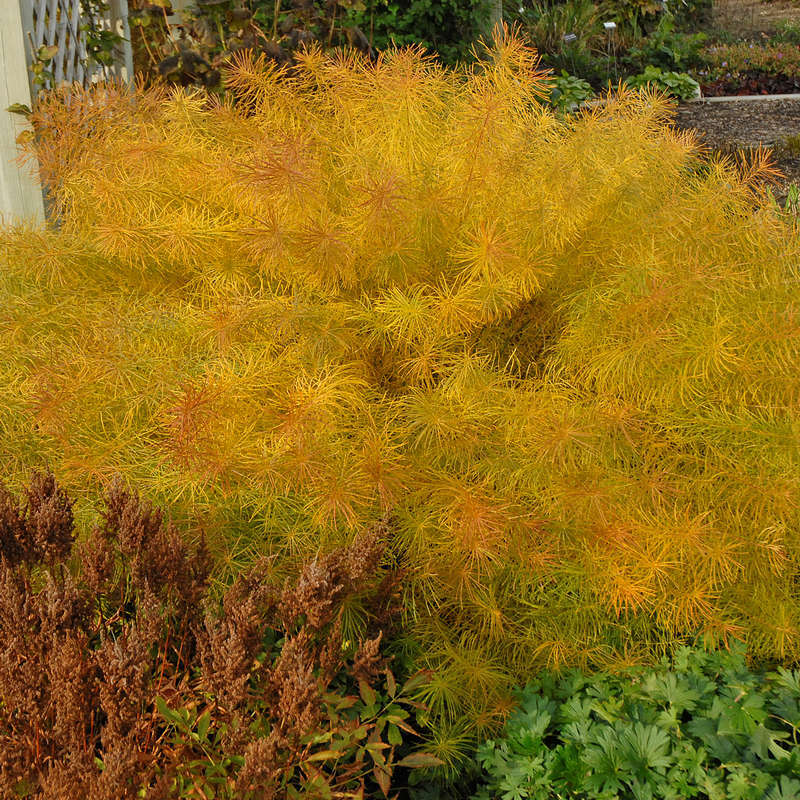 (Dwarf Goat's Beard) Rather fine, ferny foliage. Creamy white spikes. Needs a moist rich soil. (A. sylvester) Ivory white feather plumes. A valuable addition to the back of the perennial border. Does best in a shady, moist location. The perfect size Goatsbeard for smaller gardens. Large, 2-3 foot creamy white plums on dark red stems. Heat and humdity tolerant. Bright orange flowers all summer. Tuberose (Butterfly Weed). Hassle-free plant with 3 months of tangerine blooms. Long lasting cut flower. Full sun. Native plant producing small clustered flowers. Monarchs use plants to lay eggs. Plant near ponds or bog gardens. Red with a white border. Hot-Spot Peach, Hot-Spot Yellow, Pink, Raspberry. Soft pink with ruffled petals and white centers. Popular for late summer and fall display. Taller types are best for cutting. 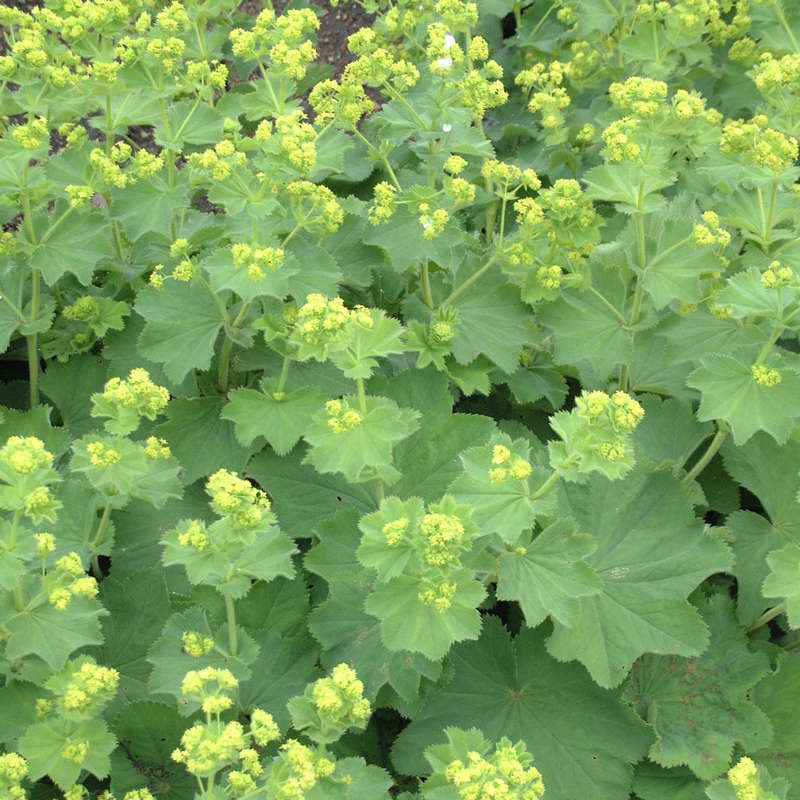 This series has superb, very full, dense mound of foliage and is blanketed with flowers late summer into fall. Magenta red with a gold center. 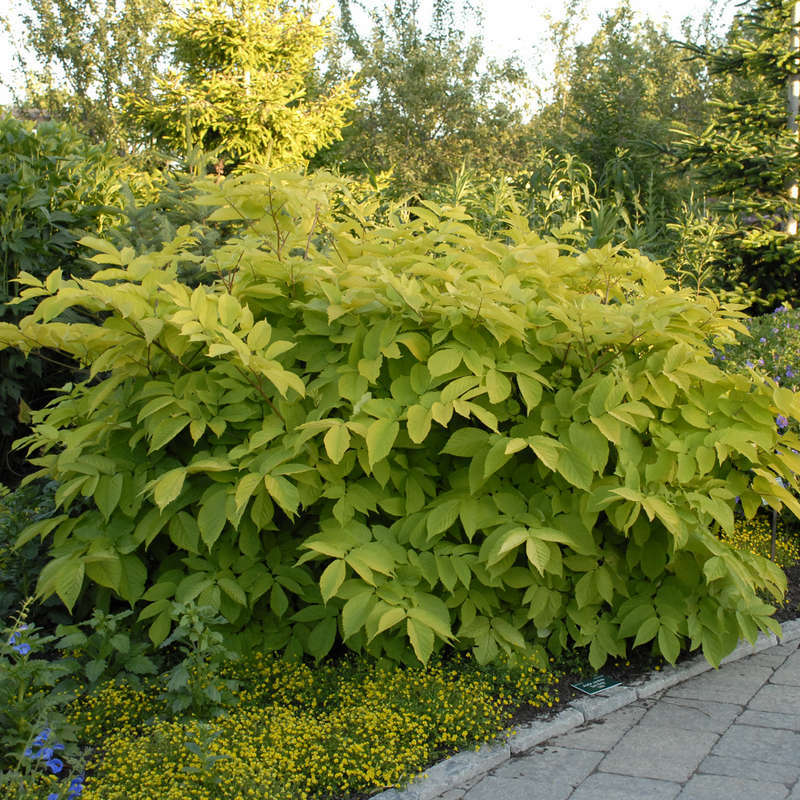 Great mounding, glossy leaf plant that ranges from 10" to 28" with fluffy plumes that last long in cut arrangements. Needs rich, moist, well-drained soil. 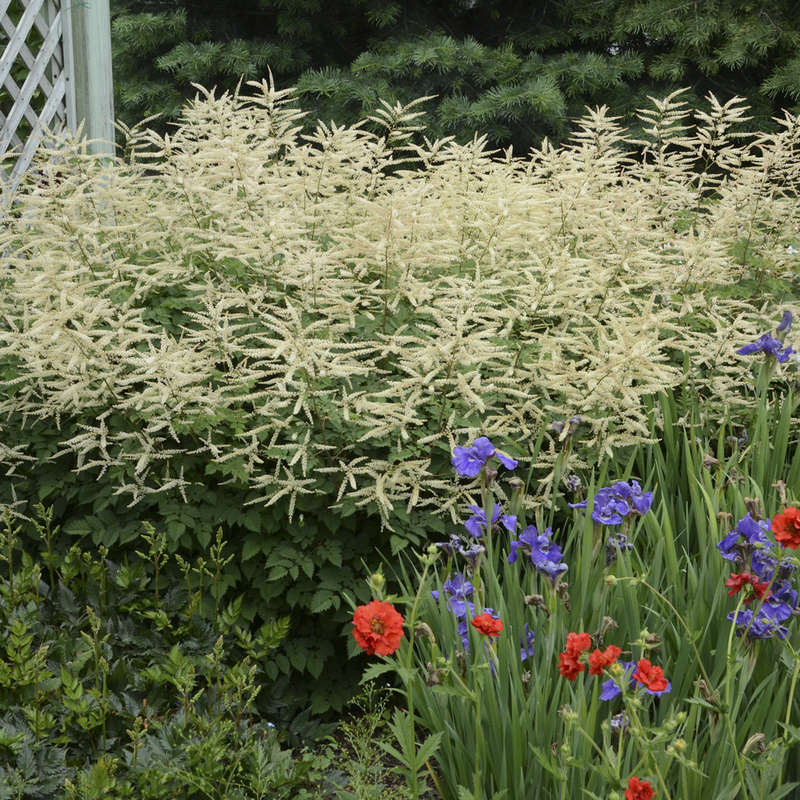 Well worth the little extra care, the elegance of the feathery flowers, ferny foliage, array of colors and the flower times are spectacular when massed in a shady spot or combined with Hostas and Ferns. Brilliant chartreuse yellow leaves. Strong blush red stems with pink.flowers. Heat tolerant, shade plant. Excellent cut flower. Long, scarlet plumes with leaves that goes from deep red to green. Red spires full of blossoms is one of the earliest reds to bloom. Foliage is mahogany in spring, turning green by summer. Vigorous. Perfectly sized for borders or containers. Fuzzy, pyramidal shaped rose pink plumes. 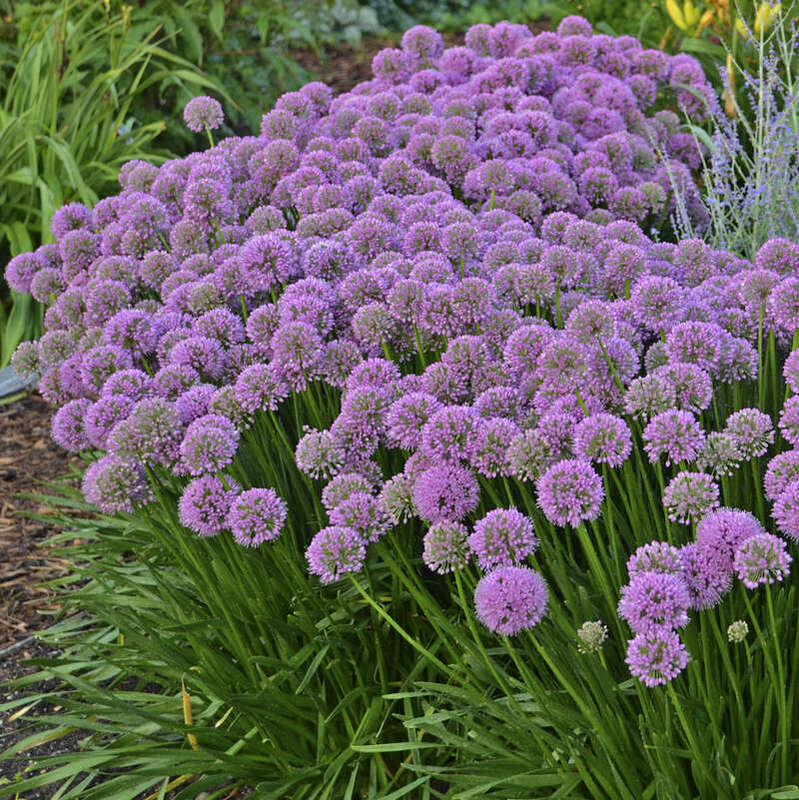 Raspberry-purple plumes rise from neat mounds of nicely cut bronze/green foliage. Robust and sun-tolerant. 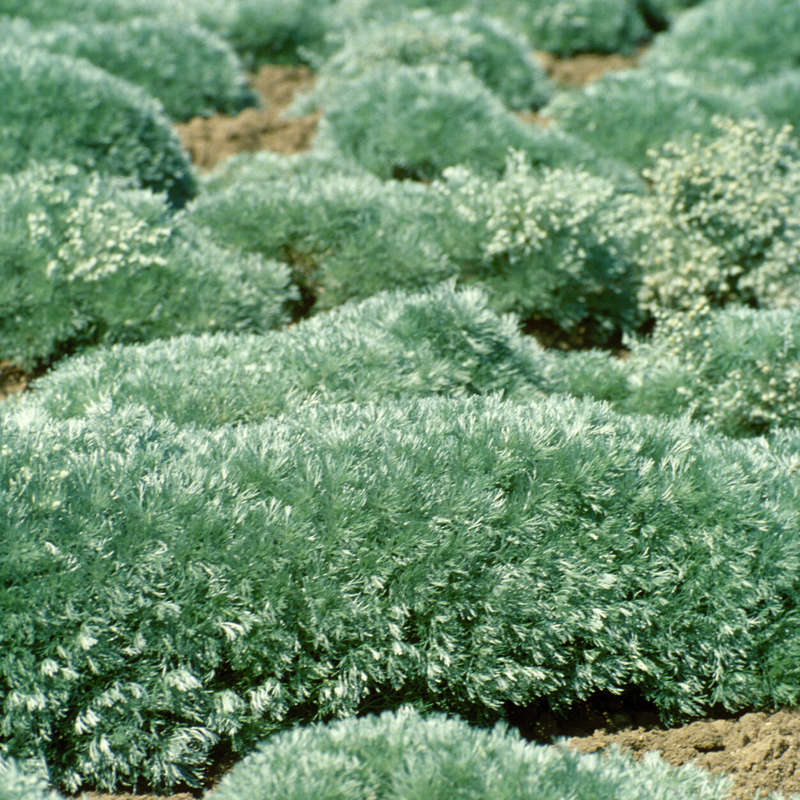 Bright lavender, dense, fuzzy plumes with Dark Green foliage. Creamy white plumes hold up under the sun and mild drought. Plumes turn light pink as they age. Marbled green and silver foliage. Vigorous bloomer. 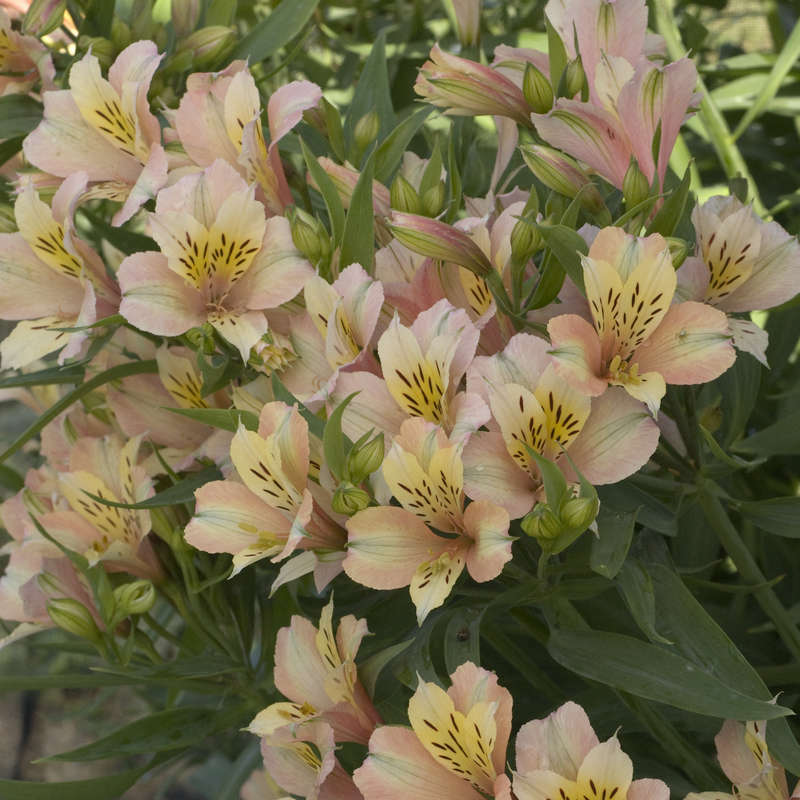 Frothy full plumes have delicate peach blossoms with a hint of pink. Dense, poker-like rich violet-red plumes lighten up as they age. Bold, dark green foliage with a coarse texture. Very unique. 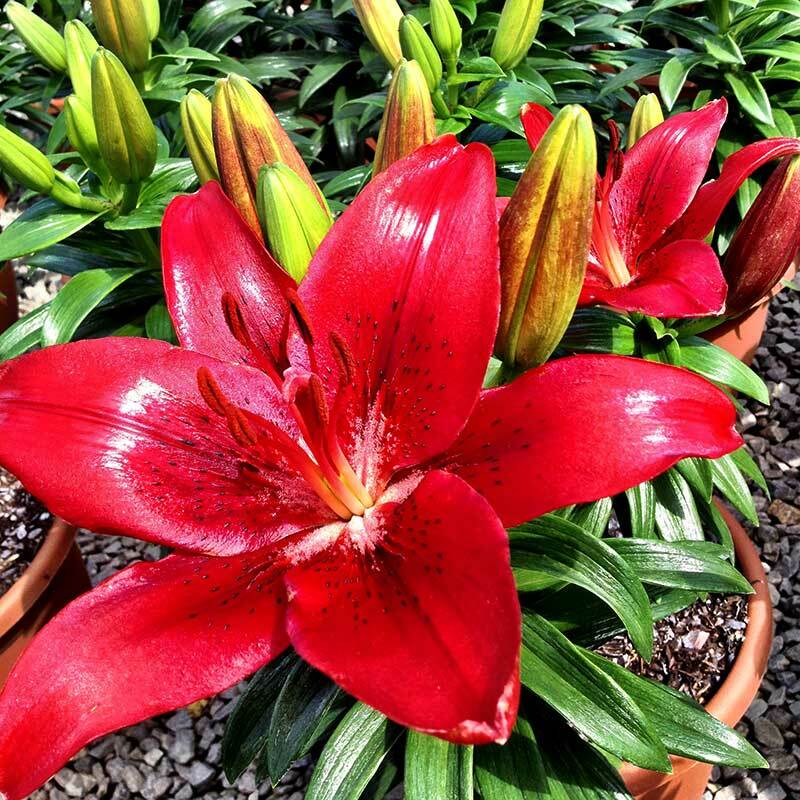 The latest addition to the Vision series with pinkish-red flowers opening from deep red buds. Bronze green foliage.